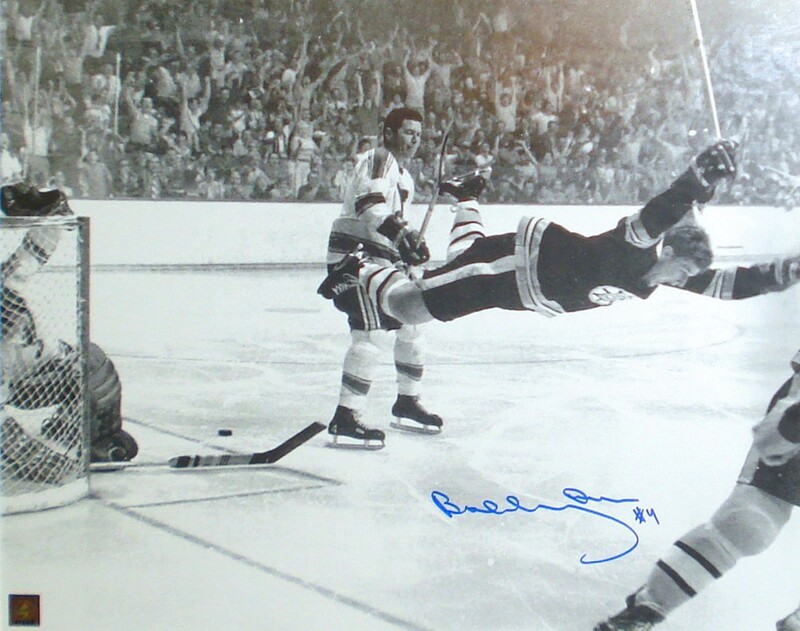 Bobby Orr signed unframed 16" x 20" photo "The Goal". Perfect for any hockey fan and a unique addition to any collection. A Certificate of Authenticity is included. FINISHED SIZE 16" x 20"
Great North Road America takes tremendous pride in offering only genuine Bobby Orr memorabilia. 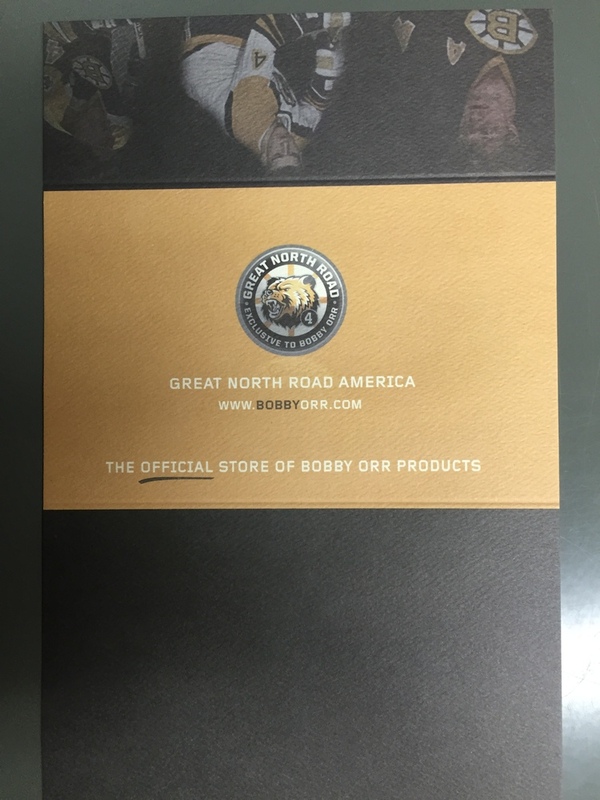 The autograph on the item of sports memorabilia accompanying this certificate is guaranteed by Great North Road America. 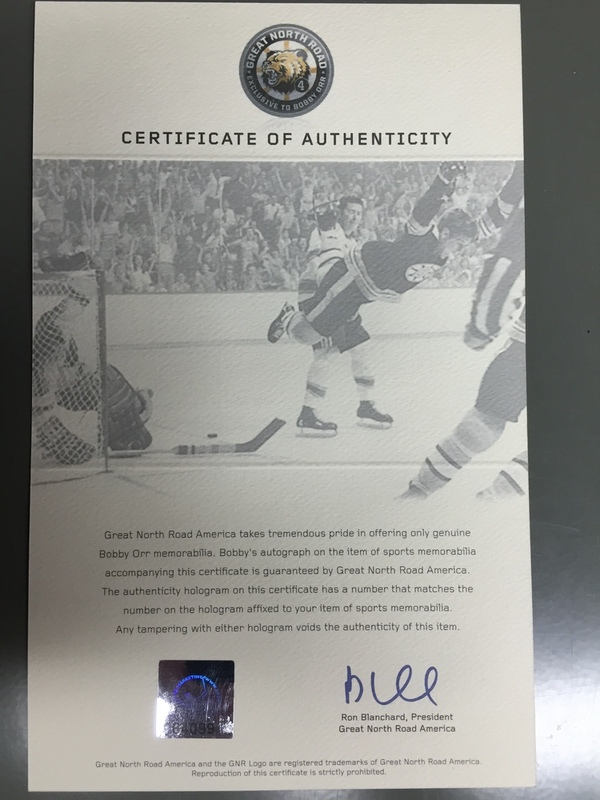 The Authenticity hologram on this certificate has a number that matches the number on the hologram affixed to your item of sports memorabilia.